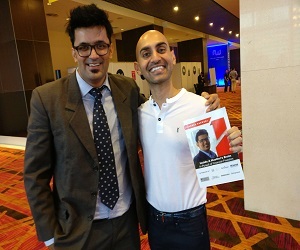 We all know that building a Social Media Presence is important nowadays. As you can see we are living in the “Internet Age” where everything is becoming digital and social media is holding the market. We all wanted to have tons of follower on Social Media for our brand so that we can have a solid social media presence. But in order to do so, we need to manage many things that seem to be difficult if it is done manually. We need to leverage our followers by giving legit post and visuals. But the problem how we can do it without putting that much of efforts. No doubt, managing social media content is not that easy and also not everyone’s cup of tea. But, wait we have a solution for this particular problem named-Loomly. Loomly is one of the simplest and versatile Social Media Calendar tool in the market that can help you in creating better content faster than ever before. Whether you’re trying to build a brand or you’re an entrepreneur or an agency you always wanted to boost your productivity and get success. Loomly is there to help you out in managing and building a solid social media presence. In this post, we have featured Loomly Review Coupon Code 20% Off 2019 that includes all the detailed insights about Loomly. Let’s get started here. Loomly Review With Discount Coupon2019: Is It A Legit Social Media Calendar Tool? 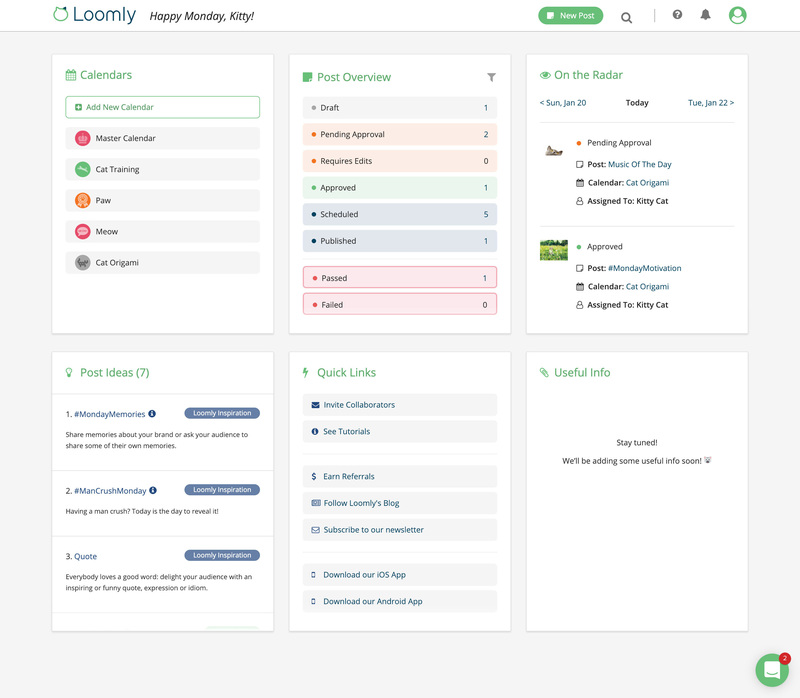 Loomly is a simple social media calendar tool that generally helps individuals and teams in creating and crafting better and eye-catching content for Facebook, Twitter, Instagram, Pinterest, Google Plus & LinkedIn. Loomly offers an intuitive interface along with innovative features that will definitely help you take your social media marketing to a whole new level. With Loomly you can easily manage all types of social media content effectively and easily. 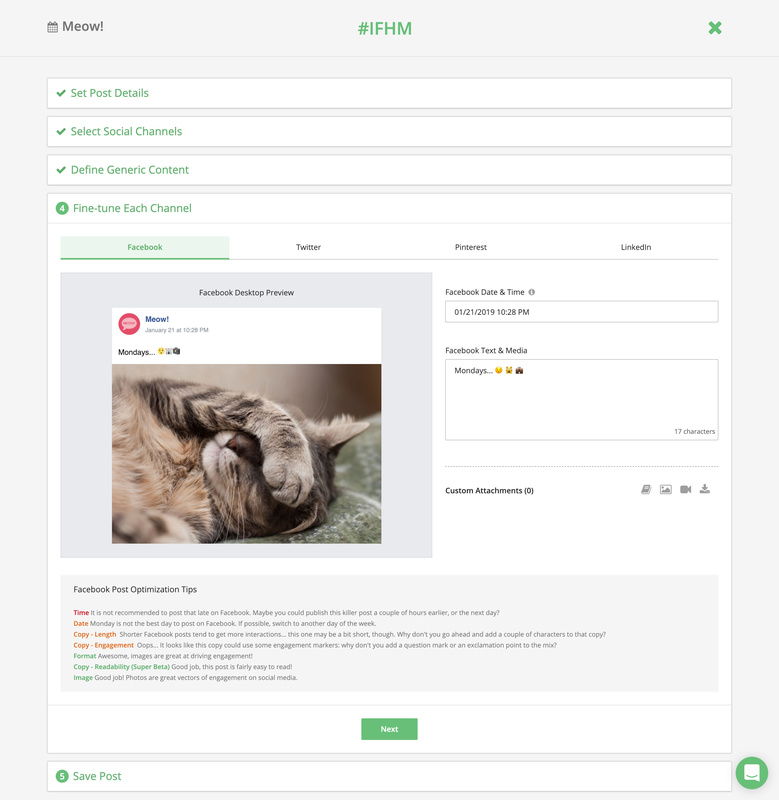 Loomly can be your Social Media Manager’s BFF as it can help in numerous ways like post ideas, post optimization, post reviews, automated scheduling, analytics, approval workflows and many more things in a row. Loomly’s basically a web platform and it also offers native mobile applications for (iOS & Android). You will be amazed to know that till now Loomly has helped more than 68099 Social Media Managers all around the world and helped them in taking their social media marketing to a whole new level. Post Ideas: Get more ideas and just never run out of inspiration. Content Library: Just manage all of your social media content from one place easily. 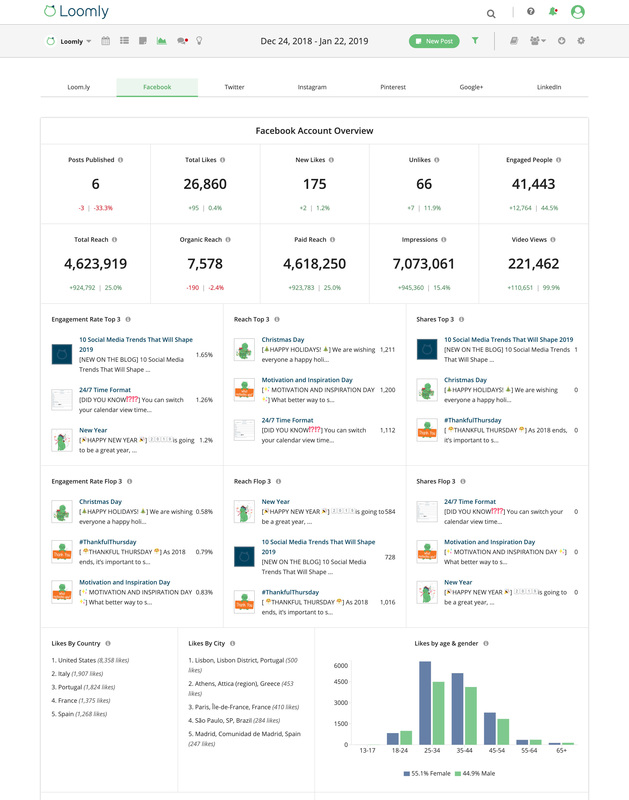 Advanced Analytics: You can easily measure and build your success with this analytics feature. Automated Publishing: Be more flexible and post whenever you want as here you can easily schedule your post for the automated publishing. 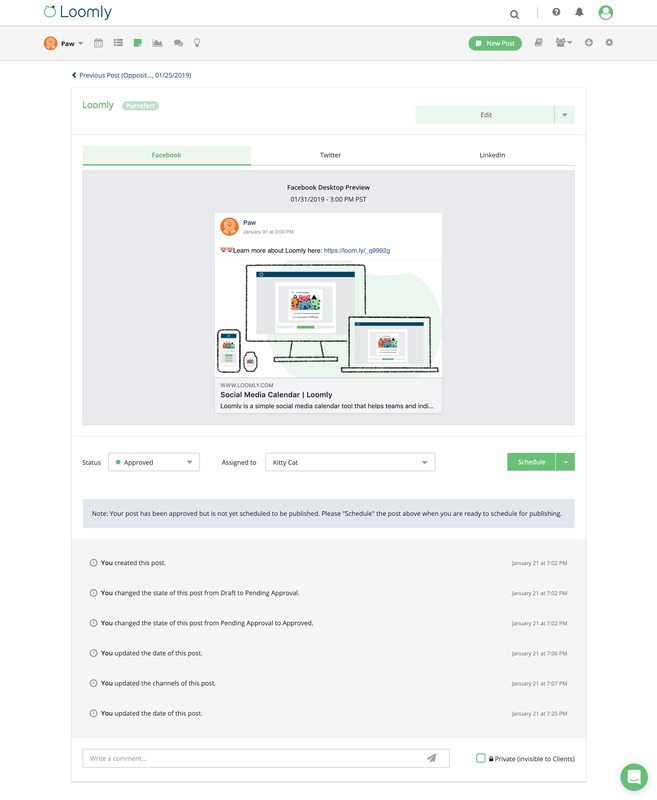 Approval Workflow: With this features, you will be able to make sure everyone on your team is onboard. Post Mockups: Here you can also see what you’re actually publishing in your social media handles. Post Optimization Tips: Now you can easily craft post like an expert instantly without putting that much of effort. What Makes Loomly So Useful? 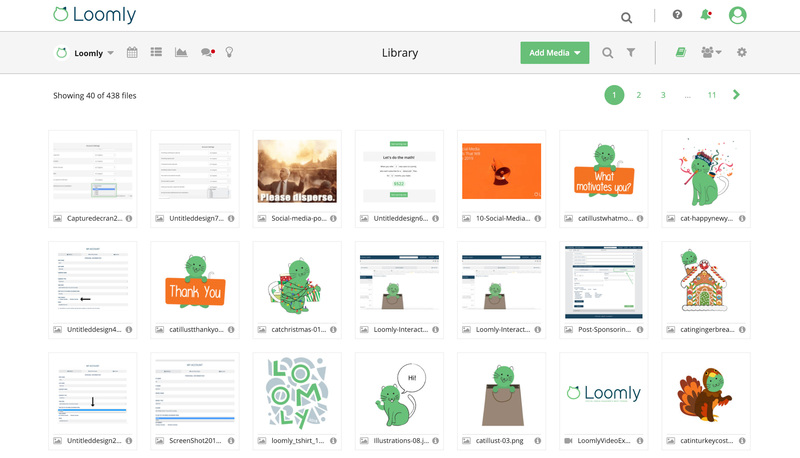 Loomly really makes social media content management for a team very easy and less time-consuming. But there are also so many features and factors that make Loomly stands out from the competition and make it the best- Social Media Calendar Tool in the market. Tons of new features — some incremental, some much more disruptive! Full responsiveness (Calendar View & Post View are already responsive). How To Get Started With Loomly? New with Loomly and doesn’t know how you can get your hand on it. Don’t worry we have got step by step by step tutorial guide that will help you to get familiar with Loomly in a super easy way. With these guidelines, you will be able to make the best of your new social media calendar tool. Loomly is the best option available as the Social Media Calendar tools that will help you in numerous ways. The best part is that here, Loomly is also offering 15 days free trial so that you can try it at your end and find out how it can help you. We hope this post suits your purpose well. Feel free to drop your view on Loomly right in the comment section. Do share this post on all trending social media platforms like Facebook, Twitter, and LinkedIn.